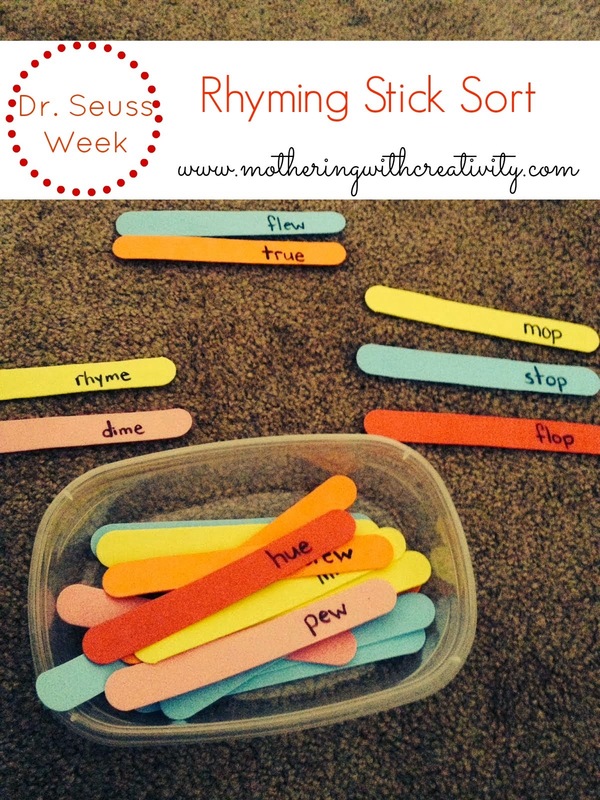 This rhyming activity is great for Dr. Seuss Week. Simply write various rhyming words on craft sticks (I actually used foam sticks from the Dollar Store). Have your child sort the rhyming sticks into piles on the floor, a sectioned off sheet of paper, or cups. Use simpler rhyming words for younger readers, and more challenging ones for older readers.